This is a very clever infographic by http://www.MBAonline.com comparing the famous technological Apple products to the fruit baring the same name. Of course someone had to come up with this at some point. Some interesting information to mull over, though the design is not something out of the ordinary. 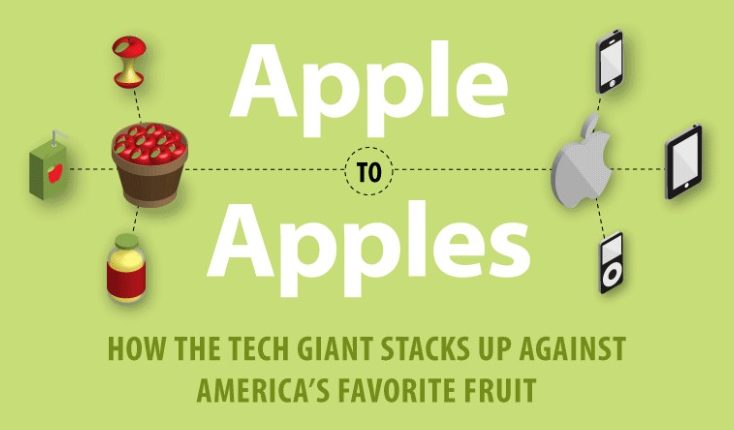 See how much apple fruit is bought vs Apple technology. Which makes more money? Who buys the most apples? When dissected, what are they both really made up of?